I was born in St. Lucia (Caribbean) and I am an internationally recognized DJ, musician and songwriter. 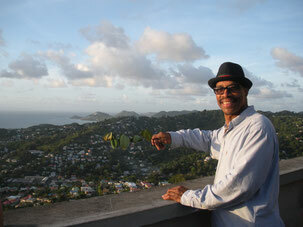 Having settled in Switzerland I am one of the pioneers playing exotic music such as latin, afro and caribbean rhythms. Having worked with radio stations I have a vast knowledge of musical knowhow. I play at all events such as private parties, weddings, birthdays, anniversaries, openairs etc. I enjoy playing all styles of music and making parties a memorable and joyful event for everyone. Enjoy it! Let the sunshine in!